PICK OF THE MONTH: HERCULES #1 The world's first super hero decides it's time to get back in the game, protect the innocent, defend the world, and generally remind everyone why he set the mark for heroism in the first place. Make way... Hercules is back! SOUNDS LIKE AWESOME BLACK KNIGHT #1 What do you do when it's your destiny to be damned? For centuries, that question has plagued each wielder of the Ebony Blade... with all of them meeting untimely ends due to the sword's curse. What do you think? Full Marvel's November 2015 solicitations here. Totally dead set against the "All-New, All-Different Avengers", but man do the synopsis(i)/ses) sound really good, especially Dr. Strange, Hercules, and the Black Knight. Speaking of, those covers! 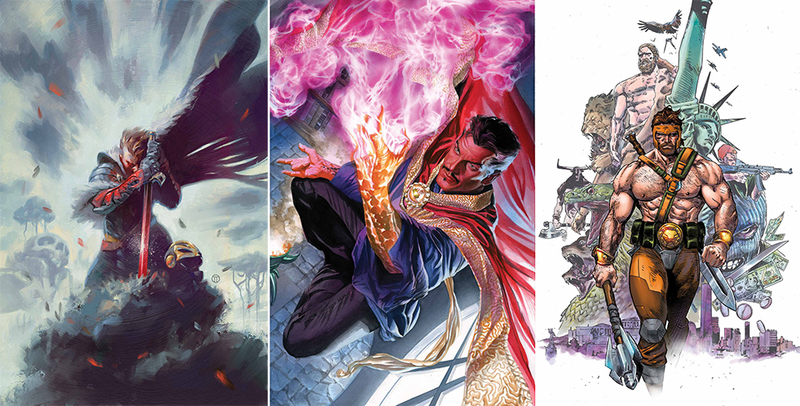 Love the Doc Strange one myself, followed by the Black Knight. Thanks Dale! 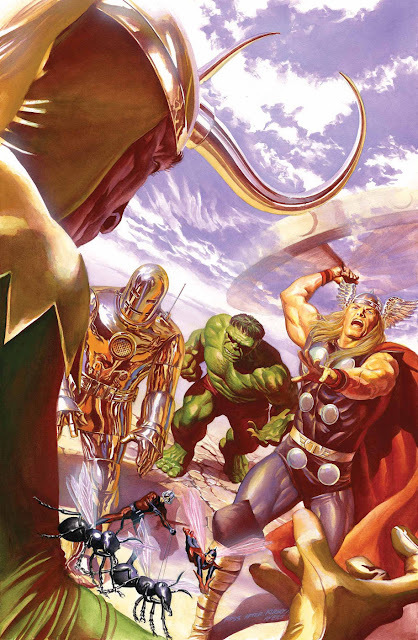 I'm just glad that whole Planet Avengers thing has stopped where it seemed like everybody was an Avenger. I thought the team was meant to be earth's premier line of defence? Not a club open to anyone with a cape. Anywho, I've just realised Alex Ross's cover of the new team is a direct rip on the cover to JLA #1 by Howard Porter. Seems age does slow the brain power down!